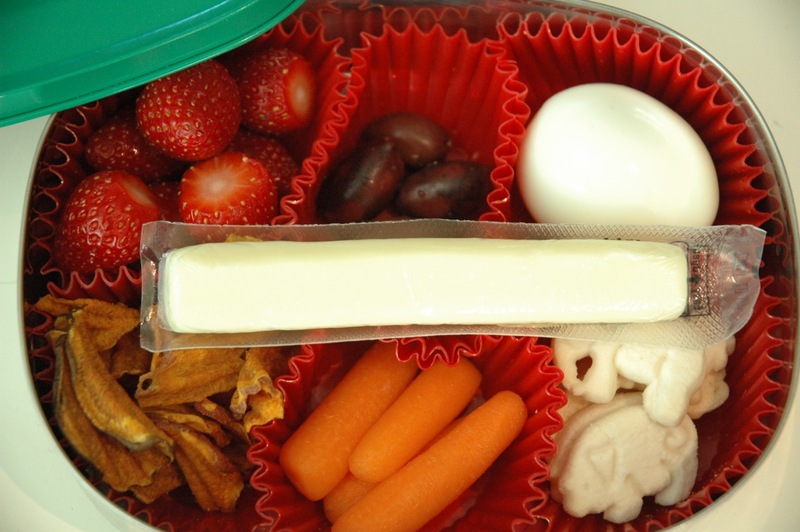 This was one of those mornings I would have rather washed dishes and vacuumed the house than pack lunches. When I feel that way, I grab the LunchBots containers and silicon muffin liners. I line each with six red cups and start looking in the fridge and pantry for anything that I can drop into the liners. Today, I found baby carrots, kalamata olives, hardboiled eggs, string cheese, strawberries, sweet potato chips and gluten-free animal cookies. C is a lighter eater than S, so I added some sliced pastrami to S’s container. Lunch was packed in just a few minutes, and in the process I even managed to clean out some bags from the pantry and jars from the refrigerator. I know this is a lot like the Tapas Lunch I posted a few months back. But this morning I filled it with different food items. That counts as a different lunch, doesn’t it? Leftovers! I love leftovers, because it makes packing lunch a cinch. Last night’s quinoa salad and grilled chicken went straight from my Pyrex dish in the fridge into S’s LunchBots container. 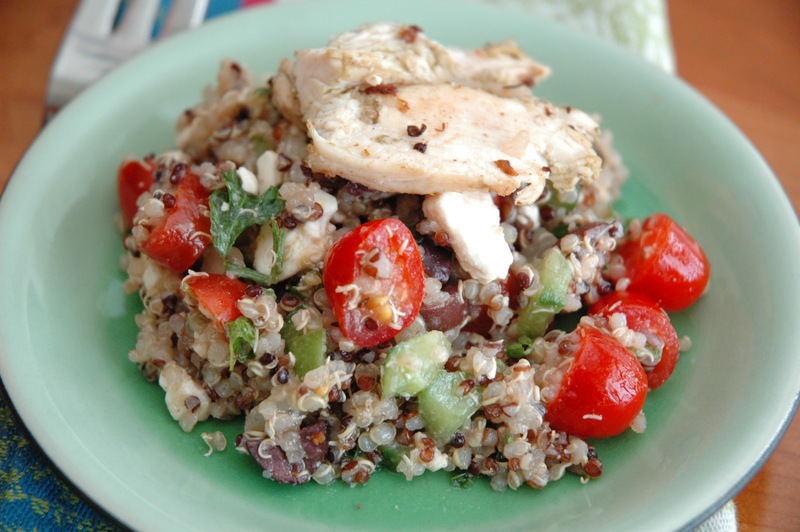 Quinoa is a high-protein, gluten-free grain (actually, a seed) that’s easy to make and very versatile. I had a plethora of cucumbers and grape tomatoes, so I decided to go Greek with the quinoa salad. I like to make quinoa in my rice cooker because it’s perfect every time and I don’t have to think about it once I hit “Cook.” After letting it cool, I tossed it with finely chopped cucumbers, halved cherry tomatoes, minced flat-leaf parsley and red onion, chopped and pitted Kalamata olives, and crumbled feta. Then I made a vinaigrette with olive oil, lemon juice, crushed garlic and dried oregano. I gently mixed it all together and let it chill in the fridge, while I grilled chicken breasts that were marinated in pesto. Along with the quinoa salad, I packed some carrots, fruit and blue corn chips. All done and all gluten-free. I’m always looking for ways to use up zucchinis, especially in the summer when they’re in season, so when I came across this recipe I had to try it. I couldn’t wait for the summer. And I’m glad I did, because C ate three in a sitting. S was lukewarm on them, telling me she prefers spinach patties. Oh, well. You can’t please everyone all of the time. I bought so many zucchinis that I ended up doubling the Epicurious recipe. 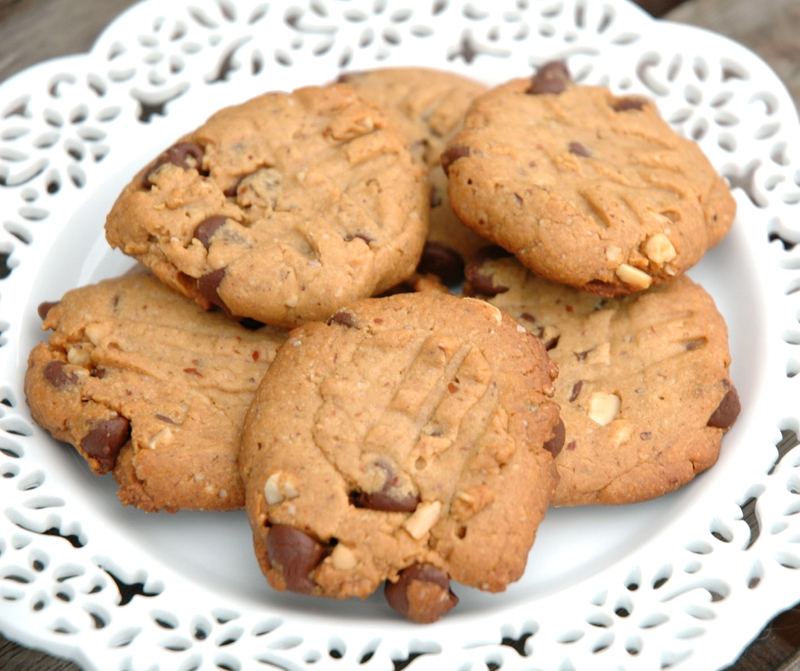 To make it gluten-free, I simply substituted Bob’s Red Mill Gluten-Free All-Purpose Baking Flour for the regular wheat flour. Other than that, it calls for eggs, feta cheese, green onions (which I subbed with sautéed white onions and garlic) and fresh parsley and dill. I left out the dill, because I wasn’t sure the kids would like it. Instead, I minced and stirred it into the Greek yogurt dipping sauce that accompanies the zucchini cakes. As it turns out, the kids loved the dill in the yogurt. Next time, I’ll definitely mix it into the patties. I may also try it with Parmesan Reggiano or Pecorino Romano, instead of the feta. We had them as side dish with dinner, and the next morning C asked for them for breakfast. Even though S thought they were just meh, I packed them in her lunch. I froze the rest, so I could have an easy, healthy snack on hand. 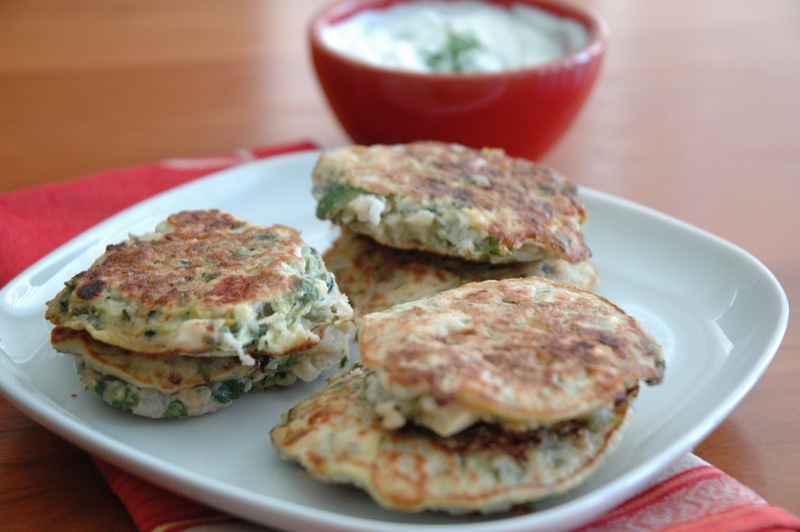 CLICK HERE for the Zucchini Patties with Feta recipe. Okay, I admit I’m cheating a bit with this post. 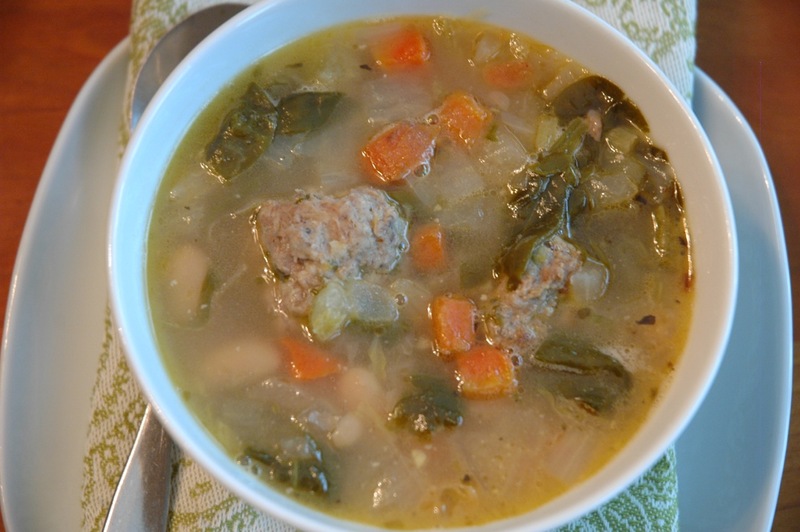 But you really could make this with less than five ingredients—if you bought pre-made meatballs and sauce. Friends have told me that the turkey meatballs from Trader Joe’s are quite tasty. And there are a number of jarred sauces on supermarket shelves that are winners. I had a few meatballs left over from the batch of 100 I made months ago. I warmed them up in some sauce (confession: I made my own) and put a little slice of fresh mozzarella over the top of the meatball. I lightly toasted some mini hamburger buns and pieced it all together. I packed the sliders with some baby carrots, cucumbers and a banana. 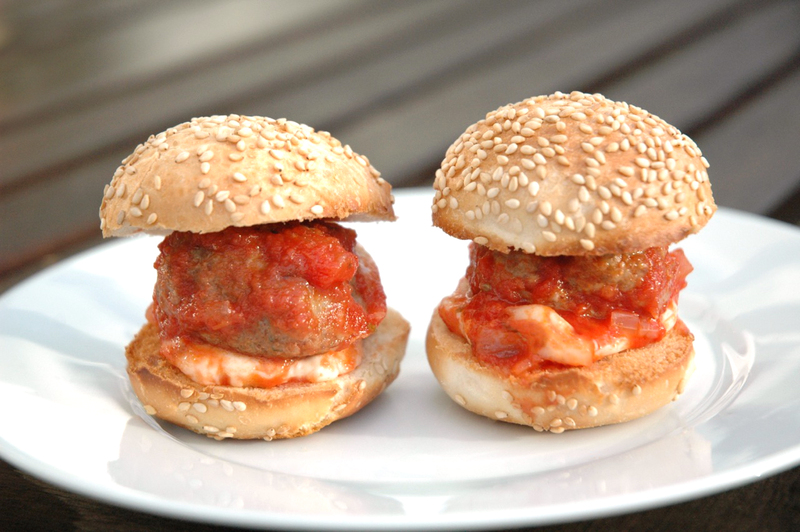 These sliders would be great for dinner, too. In doggie news, my sweet German Shepherd is feeling much better after chemotherapy and some prednisone. She’s finally eating and wagging her tail again. Keep your fingers crossed that remission is on its way and that it’ll be a long one. 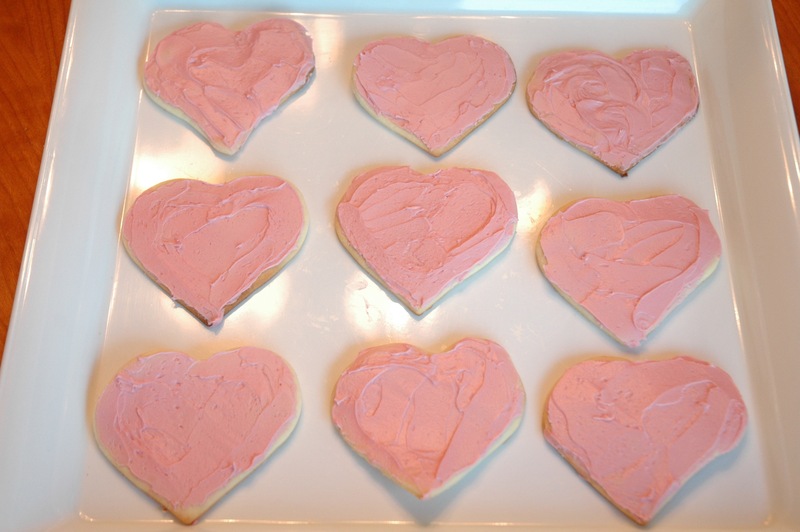 I love Christmas and Valentine’s Day, and I especially love baking for both holidays. But I detest artificial food coloring. I won’t go into the myriad reasons why it’s awful, unnecessary, and should be banned. But I do want to make you aware of all the places it shows up. Yes, it’s on virtually every birthday cake your child will eat. Plus, it’s in rainbow-colored goldfish crackers, most candies, maraschino cherries, jello, popsicles, commercial breakfast bars, and those gummy fruit-flavored snacks that are somehow passing for fruit. Food coloring also sneaks its way into children’s Tylenol and Ibuprofen, as well as the majority of toothpastes. With that said, my kids are no different than anyone else’s. They love colorful icing, sprinkles and candies. 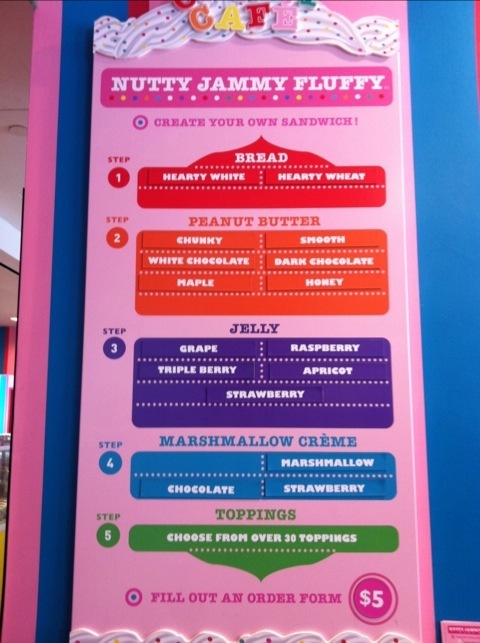 And while I appreciate how beautiful desserts can look with artificial food dye, I want nothing to do with eating them. As for S and C, that’s another story. To satisfy the whimsy in my kids and me, I decided to make my own red food coloring—from beets. And you know what? It worked! Plus, it was super easy. 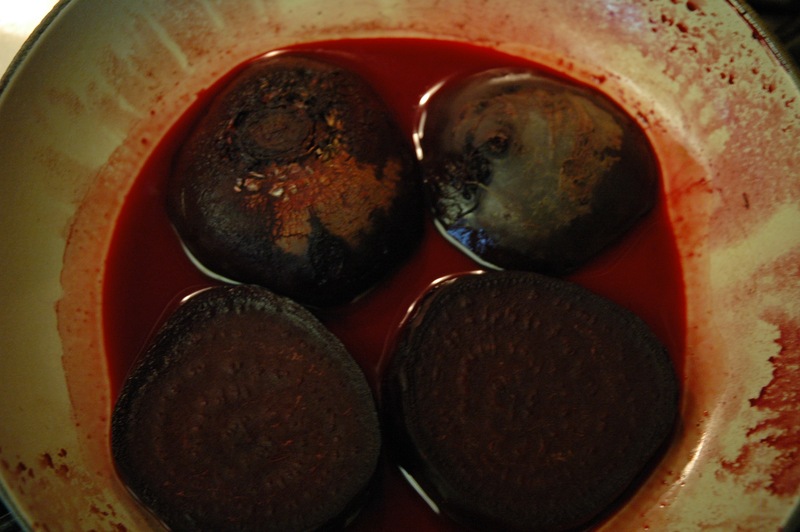 I always have beets on hand because of my CSA, so I decided to slice one beet into four slices and steam it with a 1/3 cup water. You have to be careful not to let the water burn off, so add more water as you steam, if necessary. After about 15 minutes, I had a beautiful deep red liquid in my pan. 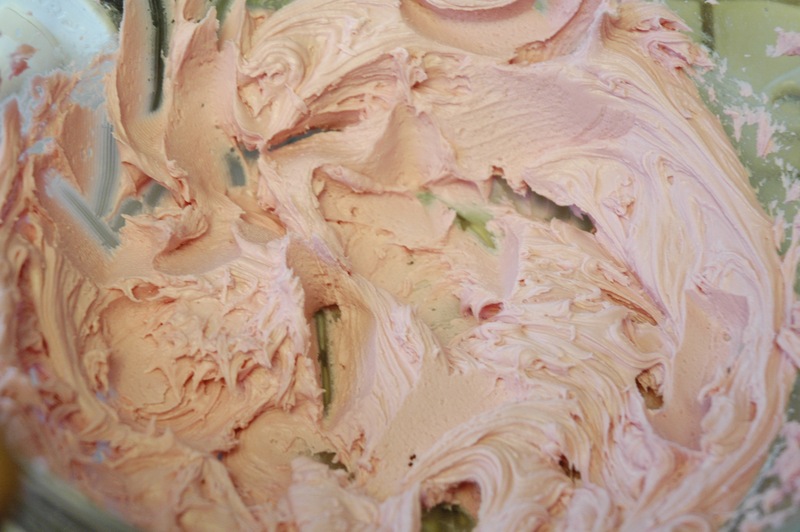 I added about a tablespoon of it to my icing and voila it all turned pink. 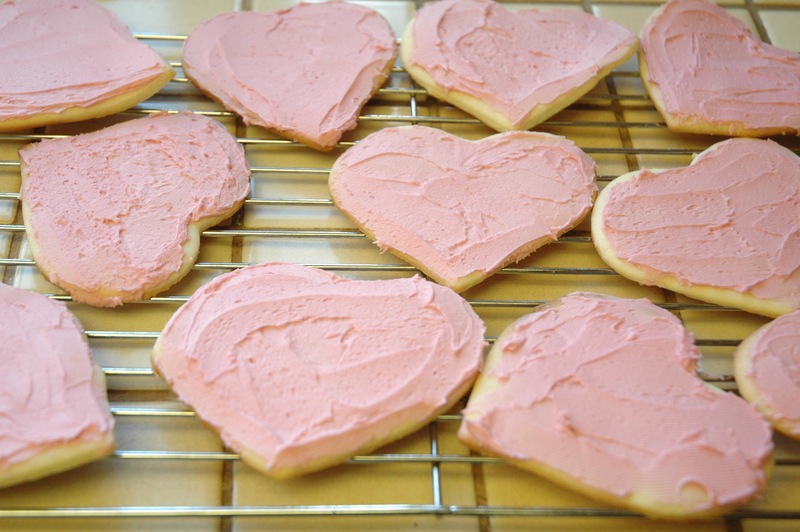 Since beets are naturally sweet, it didn’t impart an unusual taste to the icing. I was happy and the kids were ecstatic, because their mom was going to let them frost the cookies and eat them, too! Happy Valentine’s Day! Beat butter with powdered sugar until well blended. Add vanilla and beet juice. When you’ve achieved the desired color, add milk a tablespoon at a time until the desired consistency. 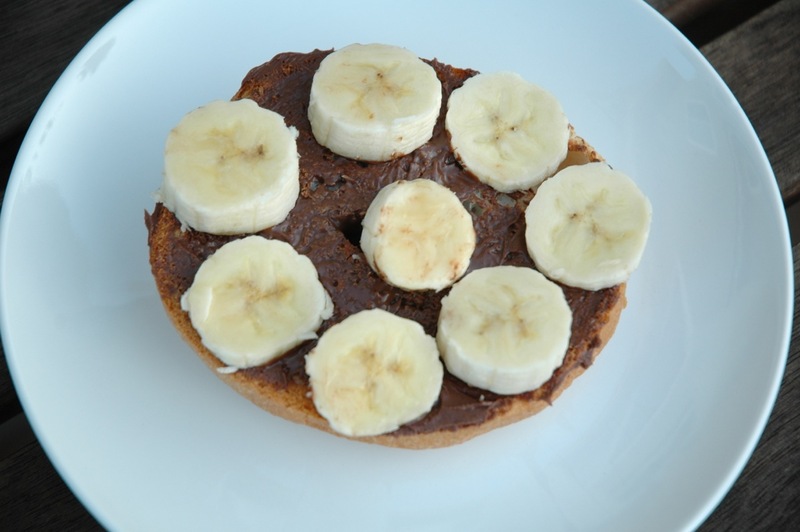 Spread over cookies, cake or cupcakes. It’s pesto—again! I had no idea how much S and C love it. I knew they liked it in their pasta, but they seem to like it anywhere and everywhere. 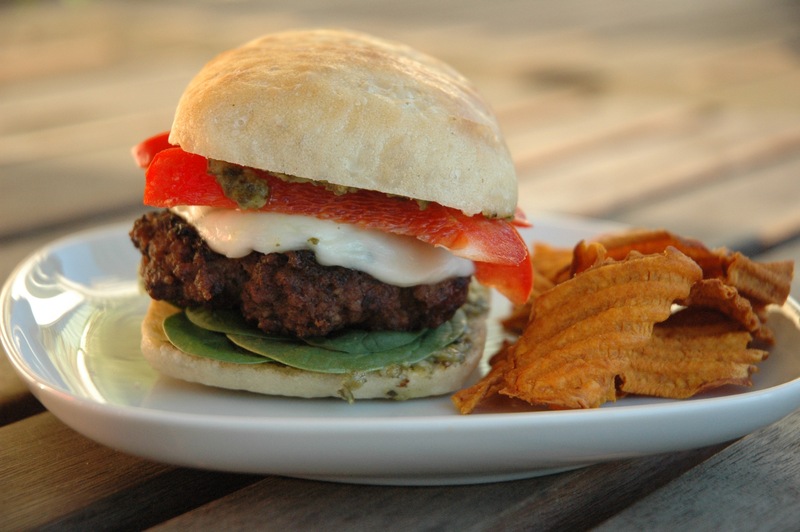 Today, I packed S a leftover pesto bison burger from last night’s dinner. I had mixed two heaping tablespoons of pesto with one pound of ground bison. I shaped them into five patties and cooked them in a cast iron skillet. I topped each patty with a slice of fresh mozzarella and let the cheese get nice and soft. Then, I toasted a couple of Par-Baked Panini Rustic Rolls (a new Trader Joe’s find!) and spread each side with more pesto. I topped the rolls with some spinach leaves and a few slices of red bell pepper. On the side, I served grape tomatoes, carrots, and sweet-potato chips. S begged to have it again for lunch today. Easy enough—and with just five ingredients. I may have to take a short hiatus from blogging. 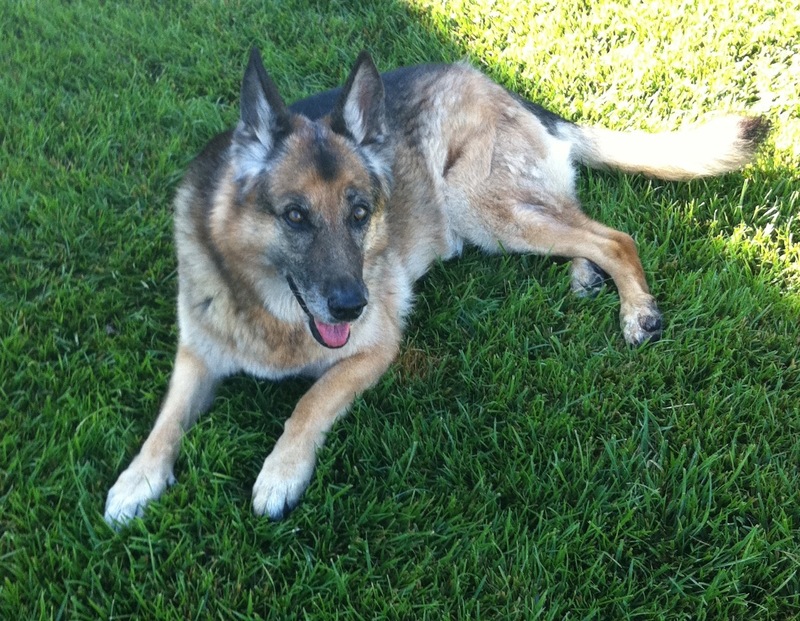 My beloved German Shepherd, Zoe, has been diagnosed with lymphoma. She was our first baby (we got her when she was just 8 weeks), and has been a sweet, loyal friend for more than 12 years. While there are still lunches to pack, I’d like to make time in the mornings to take her to Dog Beach and the wilderness preserve, making her last days as happy as possible.